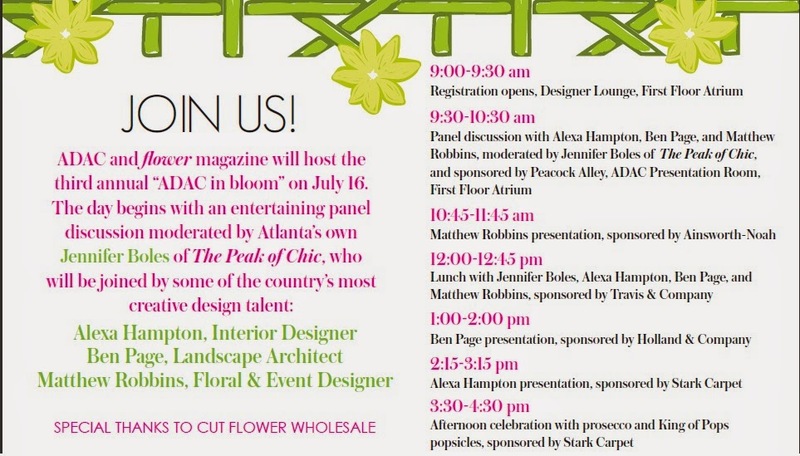 I hope that you'll join me next Wednesday, July 16 for ADAC in Bloom, which is hosted by flower magazine and ADAC. The day-long event will begin with a panel discussion that I will moderate; joining me will be special guests Alexa Hampton, Ben Page, and Matthew Robbins. Throughout the day, each guest will give individual presentations, which will be followed by book signings. I will be signing copies of my book, In with the Old, alongside Alexa Hampton following her presentation. 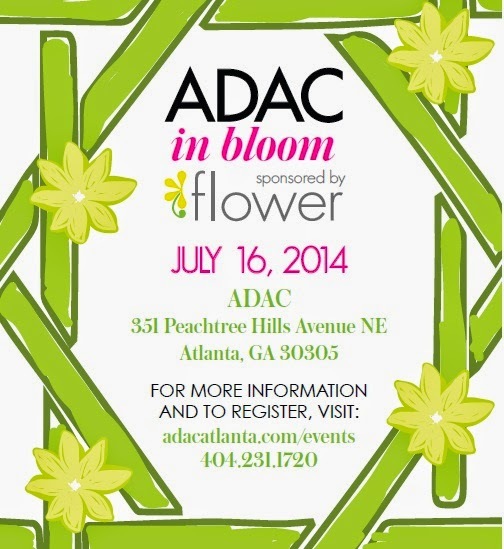 ADAC in Bloom is always a highlight of the Atlanta summer season, and this year's event will be no exception. For more information, please visit flower's website; to register for the event, please visit adacatlanta.com/events.